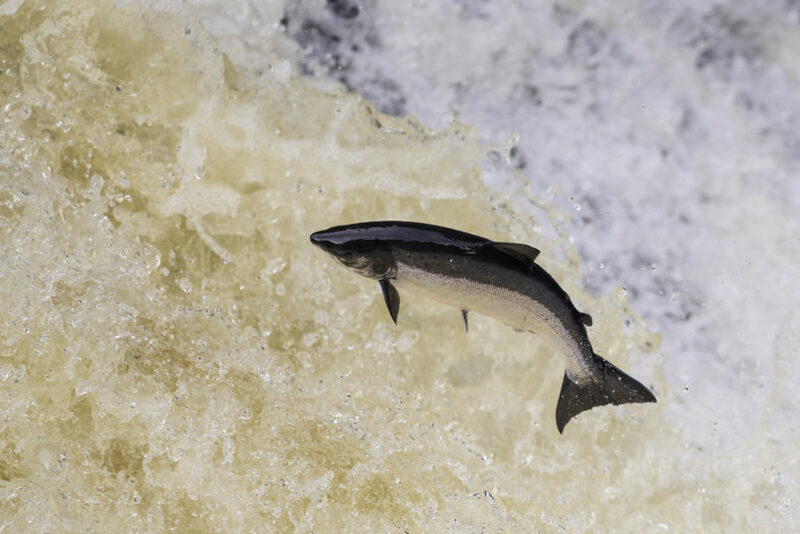 On Tuesday 5th, I presented details on salmon sentience and individuality, and the key welfare issues on salmon farms in Scotland, to the Cross-party group on animal welfare. This lead to a discussion of issues such as high mortality rates, diseases and problems with treatments such as the Thermolicer and hydrogen peroxide. We also discussed salmon sentience, and how to engage the public in treating them as individuals, which got me thinking about what more you think we can do to encourage others to empathise with fish? Straight after I’d finished my presentation, I made my way first to London, and then to Brussels to meet with fish welfare experts, at three events organised by Eurogroup for Animals. The first event that was hosted was seizing the day; a round table discussion on fish welfare, the first political event to focus on the welfare of fish. Unfortunately, a delayed train meant that I was unable to attend this event in person, so watched the live-stream of the event from a café. At the round table various speakers presented their research and opinions on fish welfare. The results of a survey, commissioned by Eurogroup for Animals and Compassion in World Farming, into public perception of fish were also presented. The results are fascinating- and provide hope that fish welfare is something that people are increasingly concerned about – showing that 79% of people surveyed would like to see fish better protected, and 65% believe that fish are sentient. Next up was the “fish experts meeting”, a discussion between groups such as academics and researchers, advocates, policy advisors and industry specialists. I took my seat at the “advocates” table, and we discussed things such as how we defined fish welfare and why it mattered to us. We all agreed that fish welfare is important in the same way that the welfare of all animals is important. That just because we don’t inhabit the same environment as them, or because they are not typically cute or cuddly, we shouldn’t care about their wellbeing any less. For my second day in Brussels I took part in the Eurogroup for Animals working group for fish welfare. This gave an opportunity for member groups including OneKind to share the work that they had been doing on fish welfare. It was inspiring to hear that so many groups were aiming to increase public awareness of fish sentience and welfare. It also gave me an opportunity to present the work that OneKind has been doing on salmon farming in Scotland, where I highlighted our contributions to the Scottish Parliament’s inquiries into salmon farming, as well as the various blog posts we have written about salmon sentience, individuality and welfare. With all the events finished, I made my way back to Scotland, excited to continue working on fish welfare. On the journey back, I read the recent report by Eurogroup for Animals on welfare issues in EU aquaculture. The topics highlighted in the report, coupled with the amazing people I met, as well as hearing about the work they have been doing to improve the lives of fish has meant that I feel more inspired than ever to #Act4fish. Well done for this. Thanks.